It’s been a busy week for me, lots of things are on my to do list. 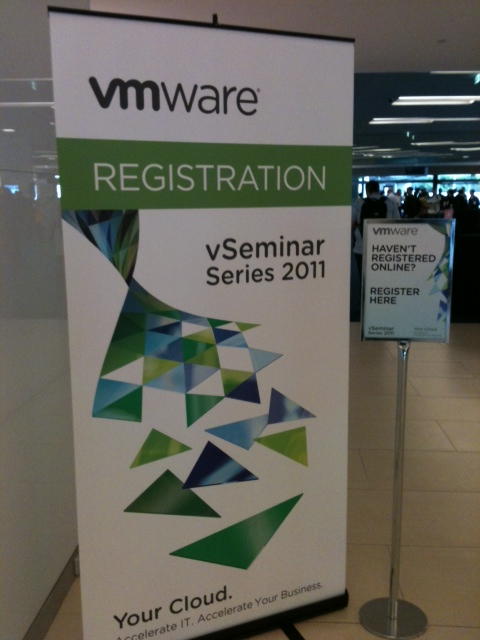 However, I managed to save half day for the vSeminar 2011 that was hold in Sydney Convention and Exhibition Center Today. To my disappointment it is more about marketing and sales than technical stuffs. Anyway, it is always good to keep track of what vmware is doing. I think it is leading the virtualization technology and becoming more and more popular.